If you are considering security shutters, you are likely focussed on providing a security element on your home or business. Nevertheless, aesthetics cannot be disregarded in the purchase process. 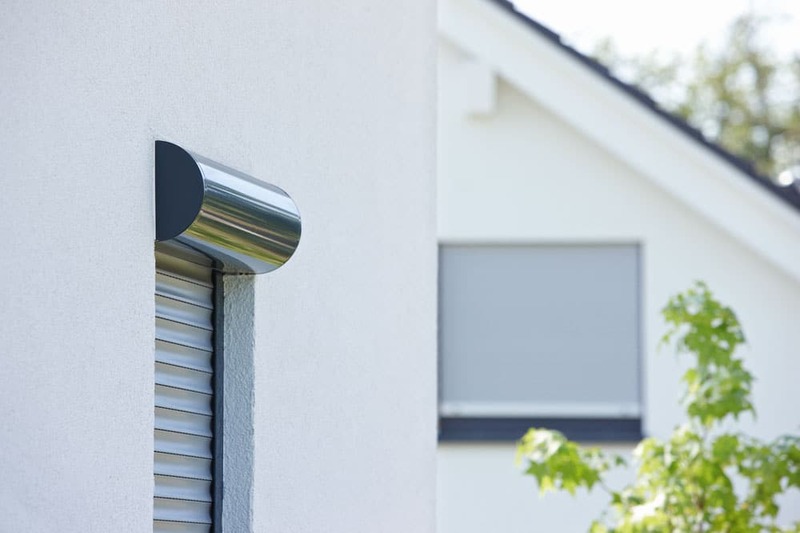 There are a number of options concerning design and finishes which allow you to provide a stylish exterior, whether the shutter is open or closed. Nothing affects the appearance of an opening like the shape and style of the shutters themselves. 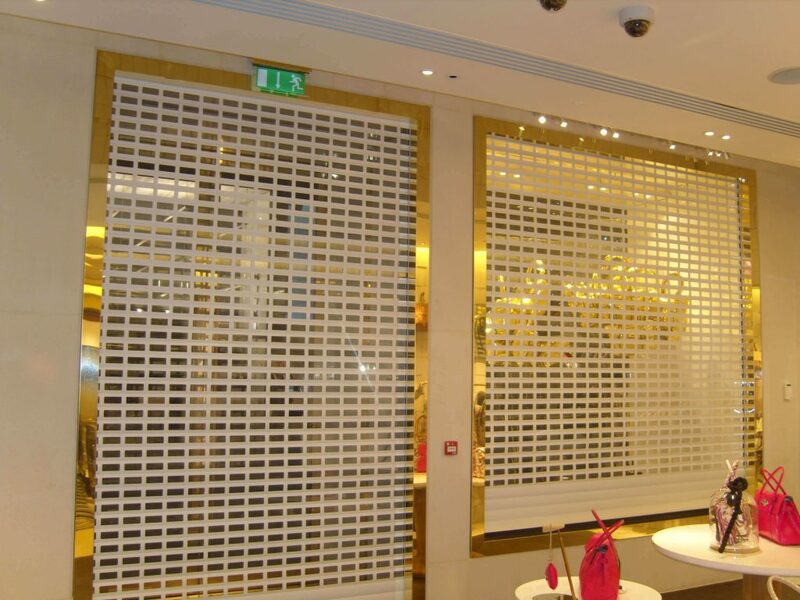 All of Roché’s security shutters have been designed with aesthetics in mind. If you require an understated look for your home or business, there are a number of options available. Narrow slats, like the 42mm M411 and 37mm E37, can give a neat appearance. They are suited to the coverage of small openings like ground floor windows. 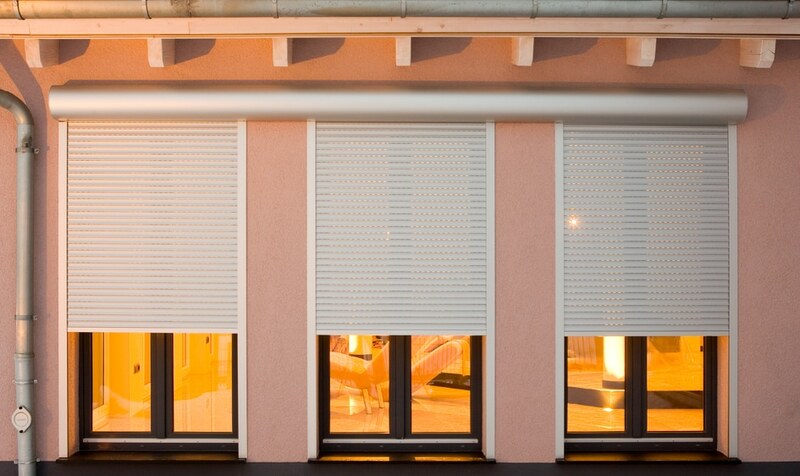 We will always choose the smallest box size which your shutter can fit into. For an even more streamlined appearance, a circular housing may be preferable. This is available at a surcharge on products like the T55 – let us know if it’s something you are interested in. Some shutters allow vision and light through them, subsequently providing a lighter appearance. 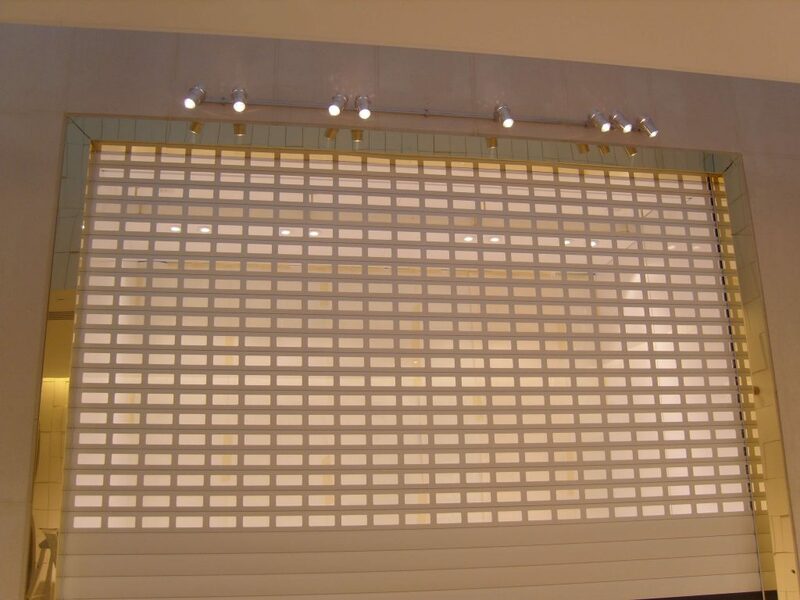 If you require a more open design, a fully retractable security grille may be a suitable alternative. When open it can be difficult to see that there is even a security barrier installed. 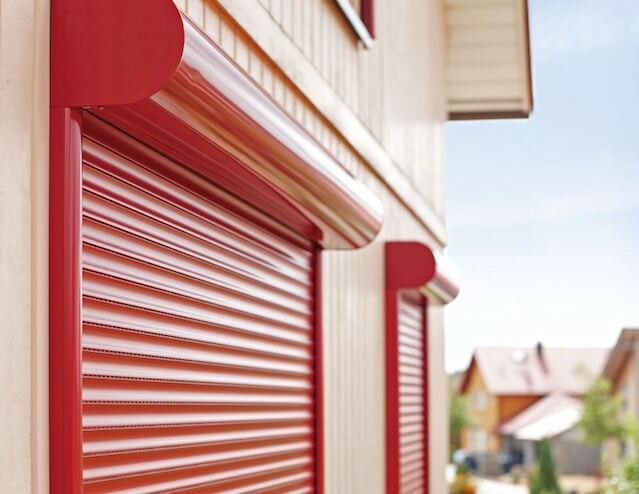 Roché offer a generous selection of standard roller shutter colours on many products. If you are looking for something else our optional finishes may provide a solution. For a specific colour, ask for a powder coated finish. Powder coating is a process which lets you order a shutter in any RAL or BS colour (two of the most globally used colour referencing systems). It is often the first choice for home and business owners looking to match existing features like window and door frames, or enhance branding. Powder coating works by applying a powder using a surface pre-treatment and an electrostatic charge. This will then be cured under heat, creating a hard finish that is stronger than conventional paint. It has an even coverage, 60 to 80 microns thick, and is very high performance for protection from corrosion for many years. Aside from plastisol, wood laminate effects and galvanised shutters, all of our coloured finishes are applied in this way. A surcharge will only apply if you’re looking for a specific colour which isn’t included as standard. With special RAL or BS colour powder coating it is possible to choose both the colour and the finish. Matt, semi-gloss and gloss are available; defined by their gloss level or reflectiveness. Matt has a slightly textured finish, which gives a contemporary effect and covers surface imperfections well, but can make a door or shutter more difficult to clean. Gloss is highly reflective and can therefore emphasise imperfections. A semi-gloss (or ‘satin’) finish provides a middle ground between the two. Special anti-graffiti finishes are also available. This formulation prevents chemicals and solvents from sticking to the surface, enabling easy removal of paints, aerosols, marker pens and inks. This ensures the shutter will remain aesthetically pleasing for many years, even if it is in a vulnerable position facing a street. Like powder coating, plastisol is a process which is available as an optional extra on some Roché shutters. Plastisol is applied to the external face only, and is available on non-insulated steel security shutters. There is a set range of colours available. Polycoat is a type of plastisol coating, suitable for insulated steel shutters. This is also available in a set range of colours, with almost the same options as regular plastisol. Polycoat benefits from being double sided. The T77 and T55 security shutters are also available as roller garage doors. This provides extra flexibility with finishes, included painted and laminate wood finishes. Wood effects are ideal for matching to window and door frames, or simply for creating a more natural look. When it comes to roller shutter colours, it isn’t only the curtain which matters. The box enclosure which the curtain rolls into, and the guide channels either side of the opening, will remain visible at all times, even when the shutter is open. These can be powder coated to match the curtain or your window or door frames. It is these finishing touches which add to the overall aesthetics of an installation.